Halifax's imX communications is heading into the holiday season with a full plate. The first new project to speak of is Julie Walking Home, a feature film coproduction between imX, Toronto's The Film Works, Germany's ART OKO Film and Poland's Studio Filmowe TOR. The $8-million film, which wrapped shooting Dec. 10 in Halifax, is about a woman who watches her young son succumb to cancer while her marriage falls apart. She travels to Poland to find a cure for the boy, but comes away with much more. Halifax’s imX communications is heading into the holiday season with a full plate. The first new project to speak of is Julie Walking Home, a feature film coproduction between imX, Toronto’s The Film Works, Germany’s ART OKO Film and Poland’s Studio Filmowe TOR. Directed by Oscar-nominated Agnieszka Holland (Europa Europa), Julie Walking Home spent its first three weeks shooting in Warsaw, Poland, before moving to Halifax. It stars Miranda Otto (Lord of the Rings), William Fichtner (The Perfect Storm), Jerzy Nowak (Schindler’s List) and young newcomer Ryan Smith. According to imX president Chris Zimmer, Canal+, the Polish Committee of Cinematography, Das Werk, Telefilm, the Nova Scotia Film Development Corporation, The Harold Greenberg Fund and The Movie Network took part in the film’s financing. Film Works’ Paul Stephens is producing, with Zimmer exec producing. Julie Walking Home will be distributed in Canada by Montreal’s Film Tonic, while Poland’s First Look Media will handle international sales. Zimmer says the film will be posted in Munich and he expects it to be completed in the spring for a festival run. The second production is number three in imX’s five-pack of DV features known as seats 3a & 3c. The latest, Past Perfect, is helmed by first-time feature writer/director Daniel MacIvor, an accomplished actor (The Five Senses) and playwright (You Are Here). It is being produced by Camelia Frieberg (The Sweet Hereafter) and executive produced by Zimmer. MacIvor also stars a man who falls in love with a woman, played by Rebecca Jenkins (Black Harbour), on a flight from Halifax to Vancouver. We catch up with them again two years later as a couple living together in Halifax. The next seats project is Give Me MO!, from writer/director Andrea Dorfman (Parsley Days). It will begin production in April 2002, says Zimmer. Before that, however, imX will begin production on the latest feature from Thom Fitzgerald, The Event. To be shot in Halifax, Zimmer says it is the story of a very strange party and that we’ll have to let our imaginations chew on that for the time being. Halifax’s Chronicle Pictures recently wrapped shooting on Touch and Go, the first feature offering from Halifax director Scott Simpson. Produced by Graeme Gunn, Craig Cameron and Bill Niven, the film is set in Halifax and is about a group of twentysomethings trying to stave off adulthood. With a budget of approximately $700,000, Touch and Go is funded by Telefilm’s Low Budget Independent Feature Film Assistance Program, the NSFDC, and licensees The Movie Network, Showcase and Movie Central. It is based on a story by Simpson and adapted for the screen by Michael Melski. Jeff Douglas (best known as Joe in the popular Molson Canadian commercial ‘Rant’), Cassie MacDonald (New Waterford Girl) and Patricia Zentilli (LEXX) star. Gunn says he hopes to have the film ready for the upcoming festival season. It is posting in Halifax until spring. Halifax filmmaker Natasha Ryan is deep into production on her documentary Titz n’ Glitz, an expose of the Halifax-originated breast cancer awareness festival of the same name. Working under the banner Drinking Game Productions, Ryan is the film’s producer, director and cinematographer. She thought she was wrapped on the film until she learned that Titz n’ Glitz founder Margo Kerr has decided to take the event national. Ryan says she has heard rumblings of holding Titz n’ Glitz events in Toronto, Vancouver, Saskatchewan, Windsor, and elsewhere. In the interest of being thorough, she is going to continue production on the film for another year. With contagious enthusiasm for the event and her film, Ryan has been largely relying on the kindness of the Halifax film community to support her project. Funded so far from her own pocket toward a budget she projects at $200,000, Ryan has borrowed cameras and other pieces of gear for the film. ‘I believe so passionately in it that I wasn’t going to let a lack of funding slow it down or stop it,’ she says. 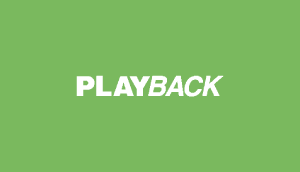 Upstart diginet Independent Film Channel Canada is currently in the midst of some homegrown production for its programming sked. Its flagship program, indieNation, is a magazine-format show focusing on independent productions from around the globe and showcasing the latest in film technologies, film communities and stories from the world of indie film. indieNation will debut on IFCC in January 2002. Filmmaker is the second original IFCC program. Hosted by Cameron Bailey, the six-episode series features hour-long discussions with directors like Atom Egoyan and Bruce Sweeney, accompanied by clips from their films and a dissection of their work. 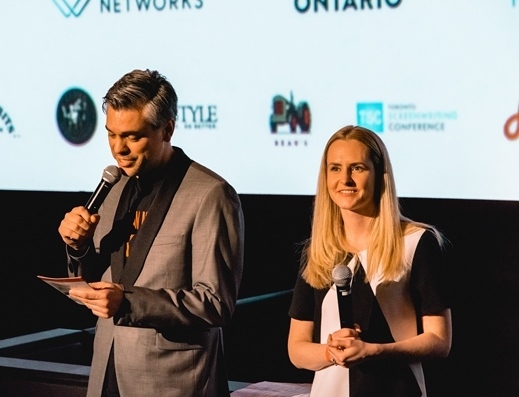 Another bit of original content from IFCC is F3 (Film Festival Flow), a series of 15-minute snapshots of Canadian film festivals, including the parties, the awards and the seminars at each. All of the programming is completely financed by IFCC. A trio of Halifax filmmakers has wrapped principal photography on The Colors of Exile, a low-budget documentary about artist Amin Shammout, an Israeli exile now living and painting in Halifax. Tarek Abouamin, Hakem Al-Rustom and Ehab Shanti produced and directed the one-hour doc, budgeted at a mere $6,500, with funding coming from the Nova Scotia Public Interest Group and the National Film Board. The filmmakers had one luxury in the use of Abouamin’s personal camera and small sound kit. They traveled to Toronto, Ottawa and Kingston to interview acquaintances of Shammout. Abouamin hopes to sell the doc to Vision TV, as well as tour it through Halifax, Montreal, Ottawa and Toronto.